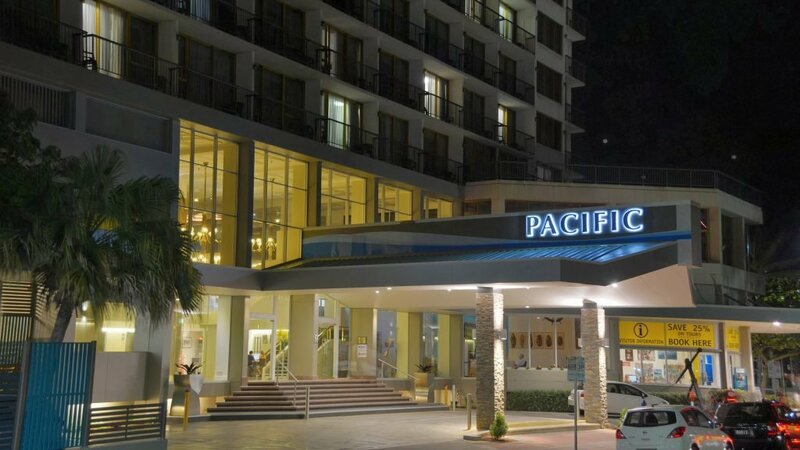 The Pacific Hotel has a contemporary feel, with a tropical ambience, befitting a bygone era. It is the ideal base for visitors who wish to explore the exotic and spectacular attractions of Tropical North Queensland. The property has 207 rooms with the higher rooms having private balconies sweeping views of the mountains or harbour and surrounding parklands. The Pacific is Australian owned and operated, and able to deliver personalised service and high standards of hospitality to guests.